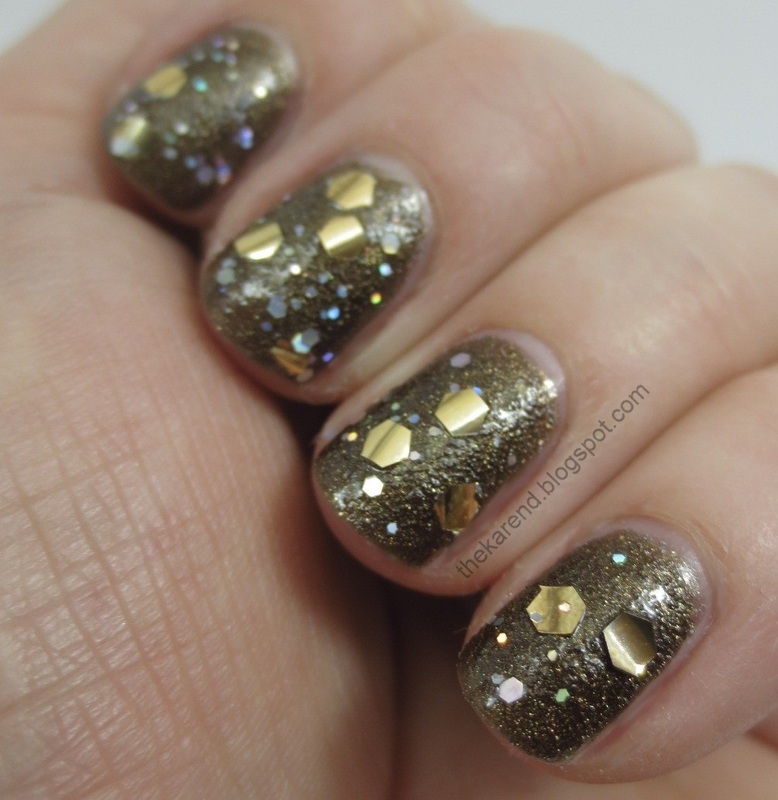 Yesterday I shared the cremes from OPI Oz The Great and Powerful, and today as promised I have the texture and glitters from the set of polishes OPI sent to try out and review. 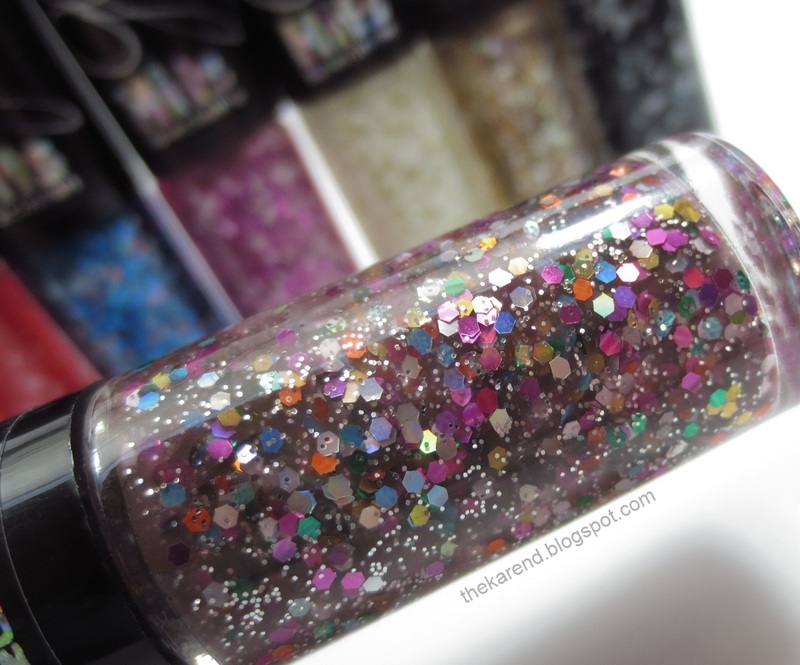 It wasn't clear to me from the press release whether the Liquid Sand shade in this group is limited edition like the other six or if it will be around for a while, the way Black Shatter stuck around long after the rest of the Katy Perry collection was gone. Given that it's called What Wizardry is This, it does seem to be part of the collection so if you like it, grab it now to be safe. I personally don't like it so much. What Wizardry is This is a warm brown color. Two coats gave full coverage. 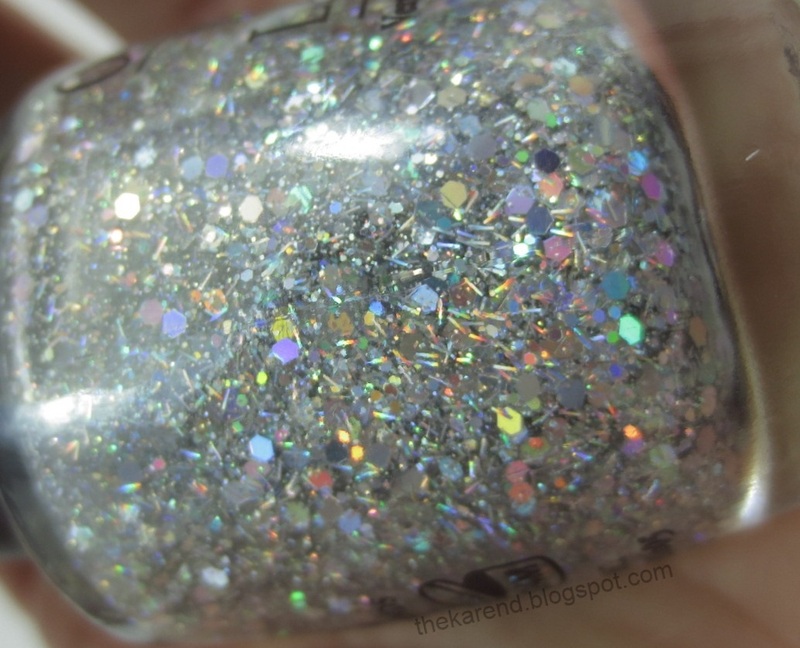 Unlike the Mariah Carey Liquid Sand polishes, this one doesn't have any larger glitters in it. 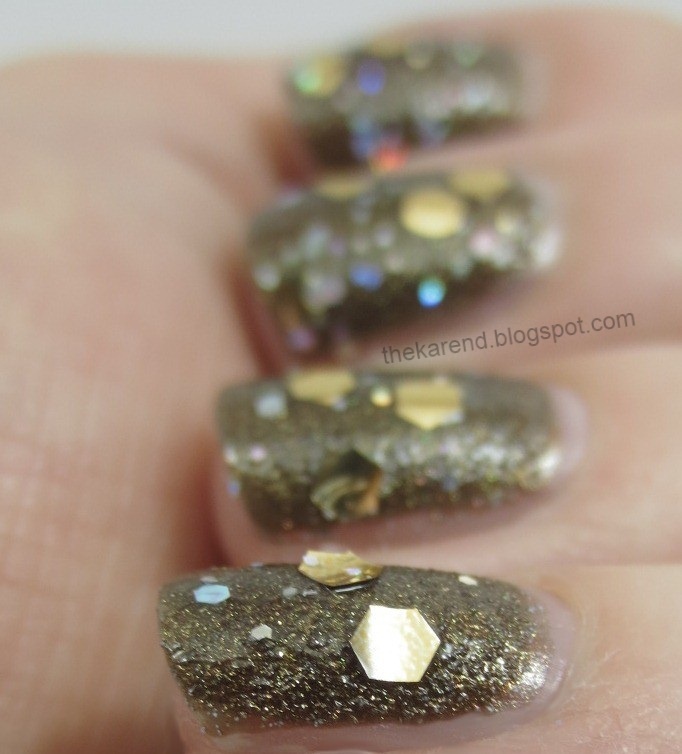 It doesn't really seem to have much glitter in it at all; there is some golden shimmer that shows up in some lighting conditions. The combination of the color and texture in this one just makes me think of something I might scrape out of my frying pan (I am not a great cook, admittedly), and that's not a look I'm going for on my nails. 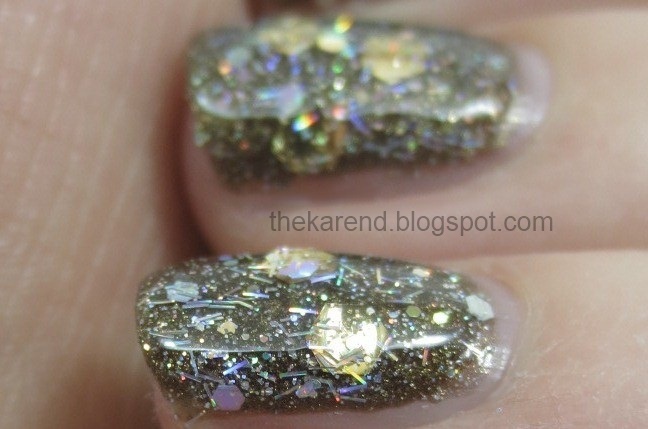 Okay, so maybe that particular glitter didn't make What Wizardry is This better for me. Perhaps the answer was adding even more glitter. I grabbed Which is Witch, a silver/holo glitter mix with hexes and tiny bar glitter, and added two coats of that plus topcoat. 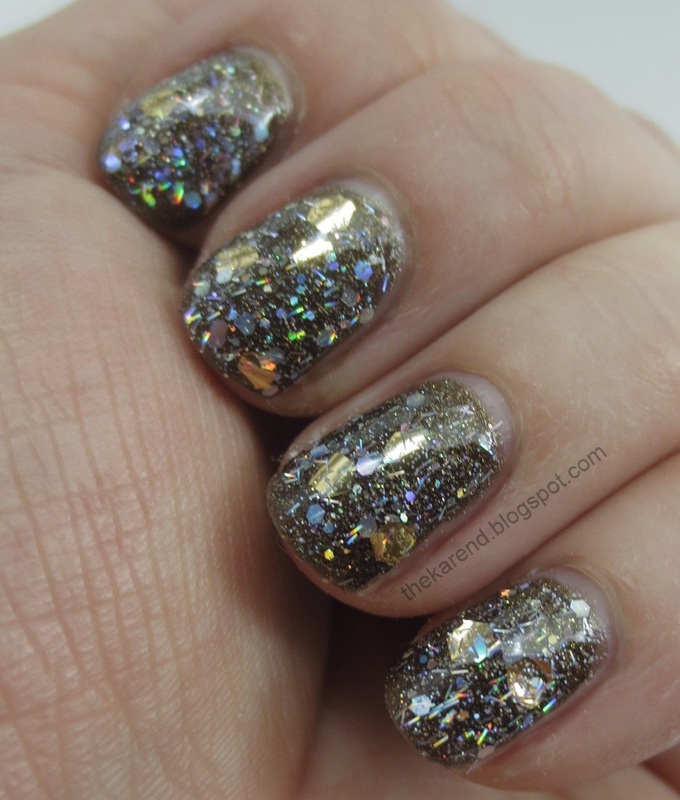 (I got the idea to layer Oz glitters from someone, but I can't recall who it was and had no luck finding the post that inspired me again when I looked just now. If it was your post I saw about the Oz layering, remind me in the comments, please. EDIT: It was Polish and Charms.) With all those layers on top of the problem hexes and all the distraction provided by the extra glitter, I didn't notice the curling anymore. 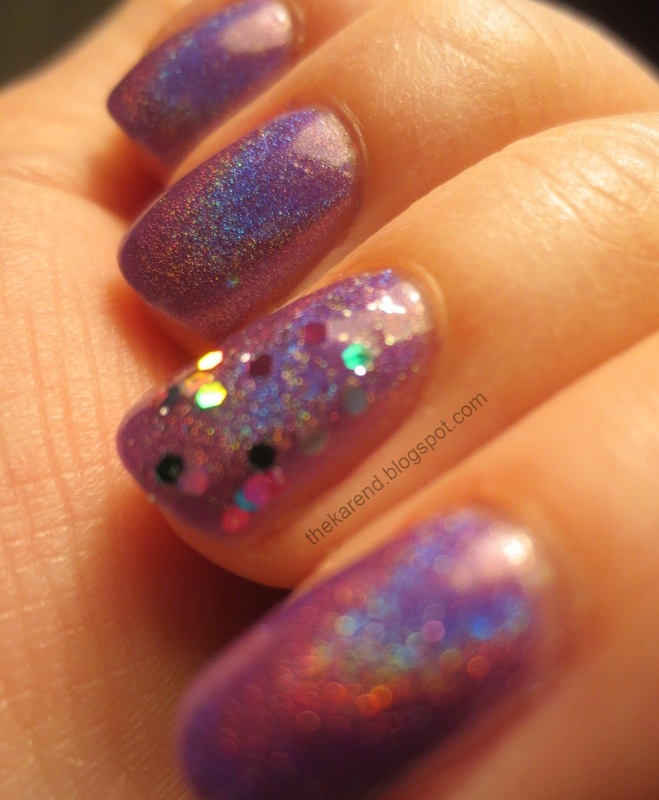 Looking at this combination in low light made me think that if I'd just added enough topcoat over What Wizardry is This, I could have liked it without all the glitter. 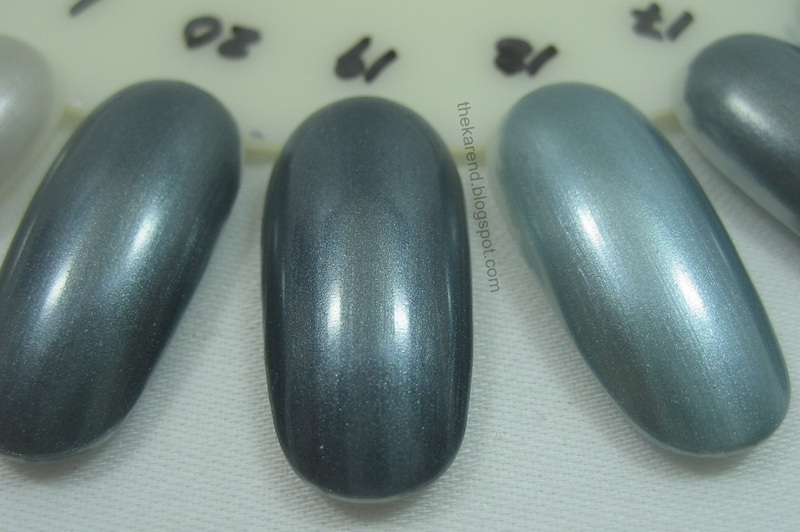 Here's two coats of Which is Witch over I Theodora You. 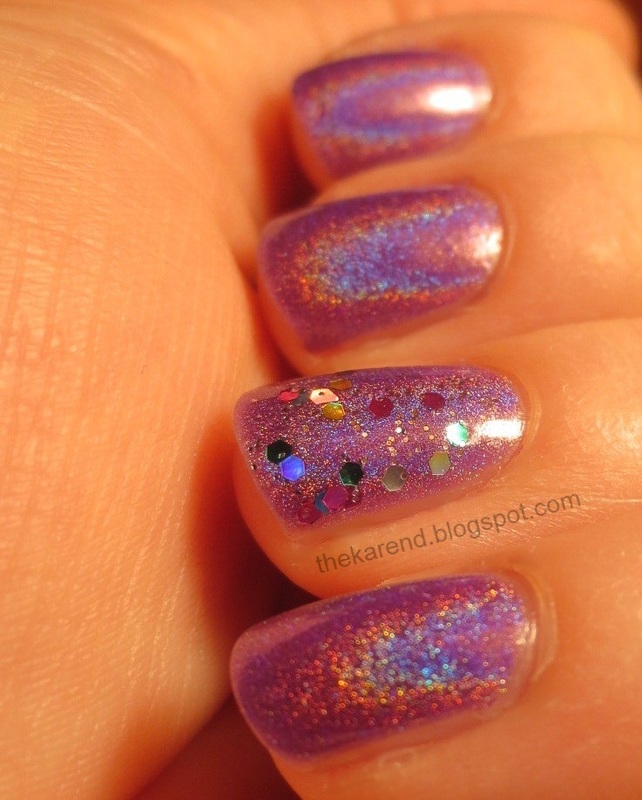 I didn't use topcoat, so you can see how well behaved this glitter is. I have an uneasy relationship with bar glitter, but the bars in Which is Witch are so small and delicate that they barely even register as bars. The overall effect is quite lovely. 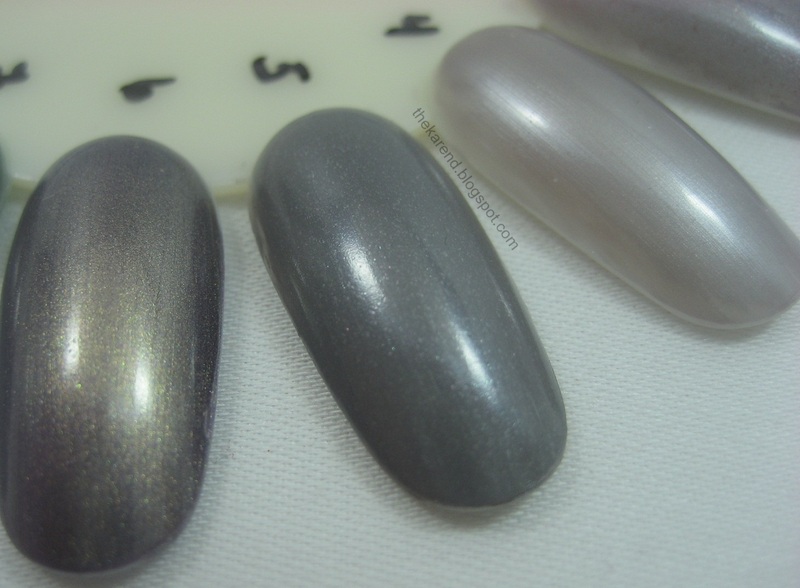 I decided to give When Monkeys Fly another chance, this time two coats of it over Glints of Glinda, plus double topcoat (first a thin formula to stick things together and then a thick formula to smooth things out). It turned out okay, though I didn't enjoy wrestling with the hexes (and ended up with a fugly clump of them on my middle finger). 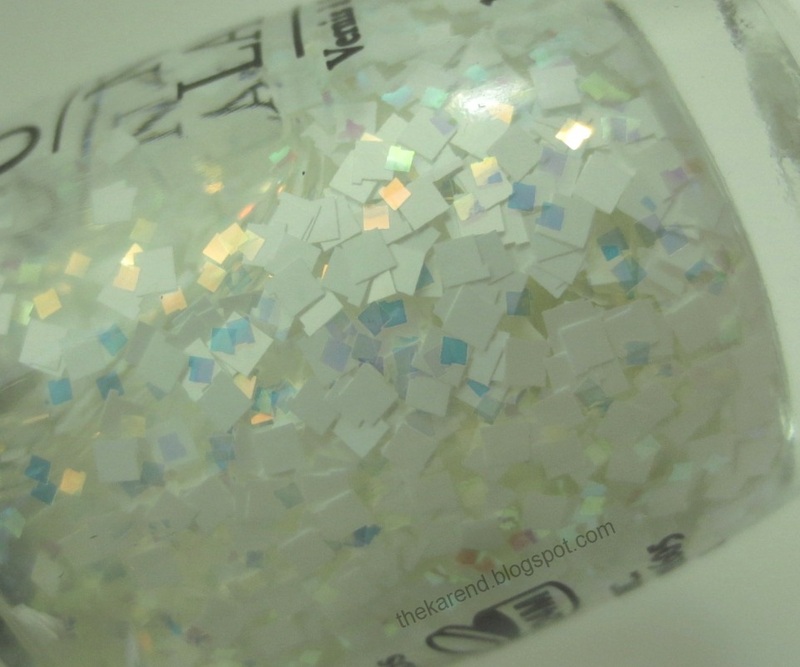 The last glitter and last polish I have to share from this collection is Lights of Emerald City, a mix of iridescent and white squares. It's very indie-esque. 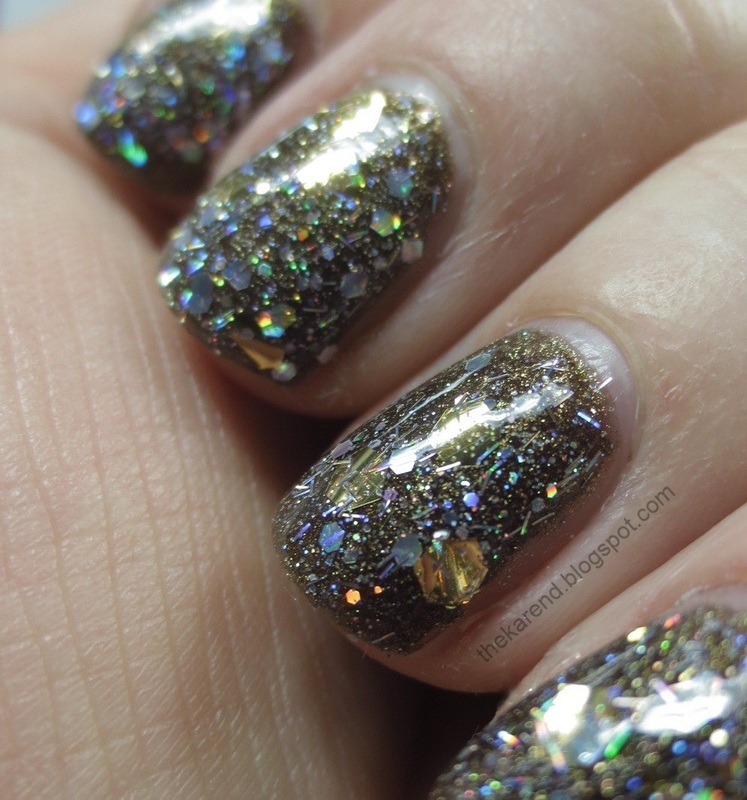 Here's one coat of Lights of Emerald City over Don't Burst My Bubble. No topcoat, no problem. 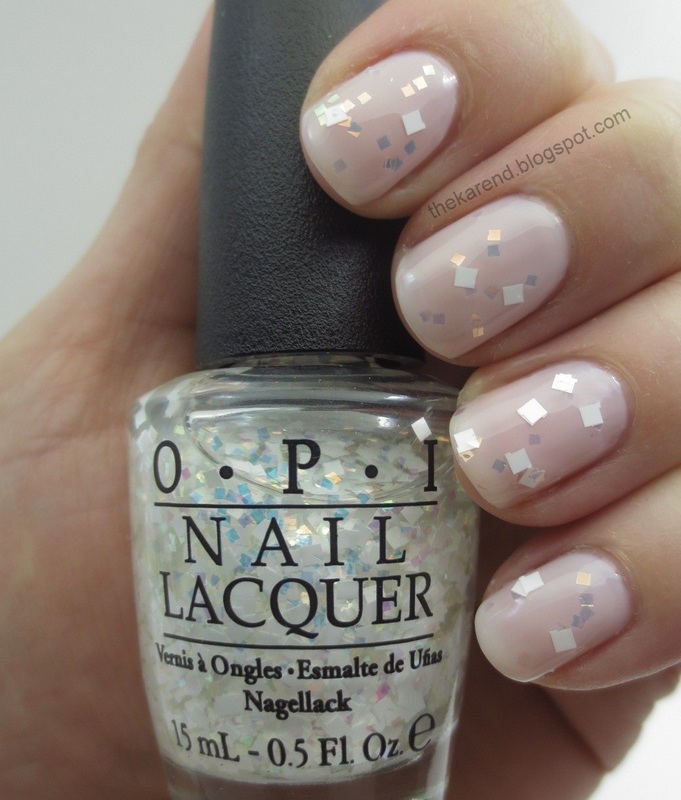 I give OPI a lot of credit for doing glitters that are different from ones we've seen from them before. Lights of Emerald City is my favorite (I bought my own bottle after I sent these samples off to their permanent home), and I like Which is Witch as well. When Monkeys Fly just needed a better behaved gold glitter. P.S. I haven't forgotten about picking winners for my birthday giveaway, and indeed have made some progress on getting all the virtual raffle tickets in the right hats for each of the prizes, but I got busy at work and now am heading out to see my mom for the long Easter weekend, so it'll be next week sometime before I get the contest wrapped up. Sorry for the delay! 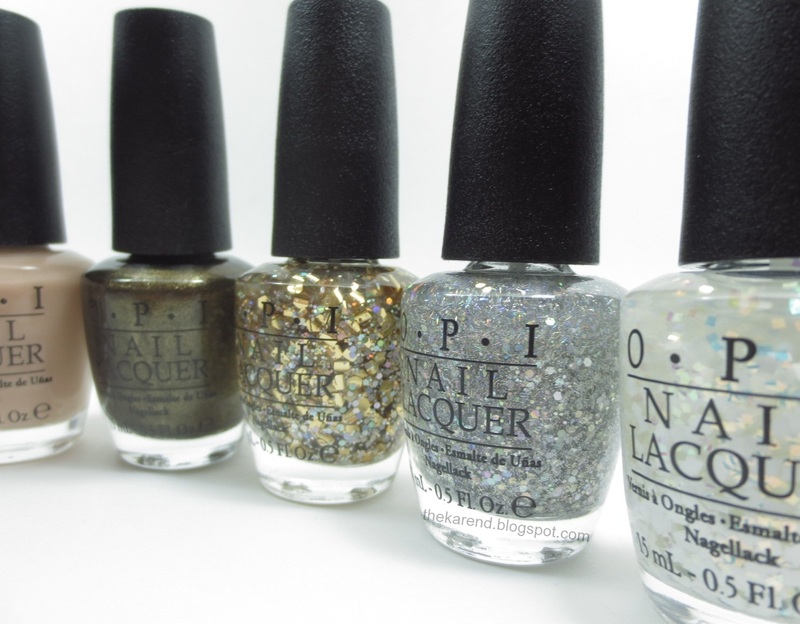 This year's OPI Soft Shades collection is a tie in with the Disney movie Oz: The Great and Powerful, which opened earlier this month. 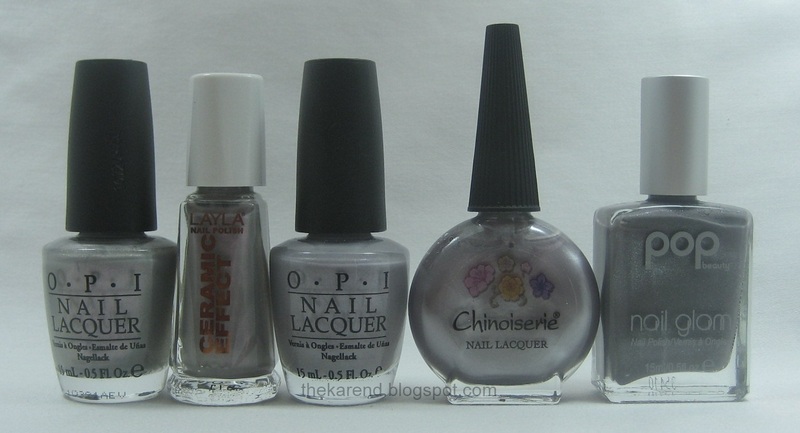 I was fortunate to get a set of the polishes to try out and review. 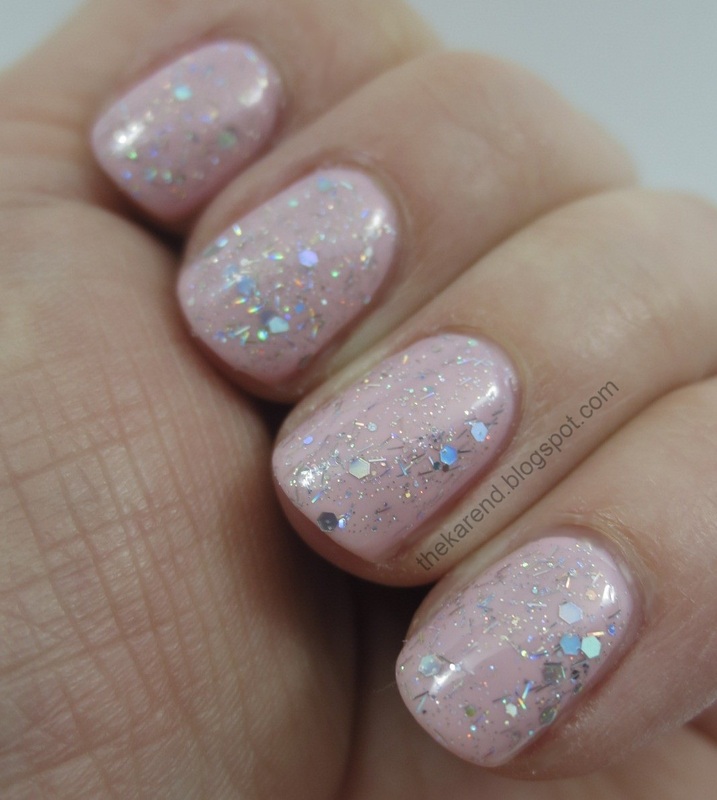 There are three sheer pastel cremes, three glitters, and one Liquid Sand color in this group. My lightbox is not wide enough to accommodate seven OPI bottles lined up next to each other, so I had to get creative with my bottle shots. I was originally going to put this whole collection into one post, but once I got into choosing the photos to use, I realized I have so many that it made more sense to split it into two parts (that's what happens when I get more than one glitter to play with). So today I have the three cremes, and tomorrow I'll have the texture and glitters, with the cremes in a supporting role. 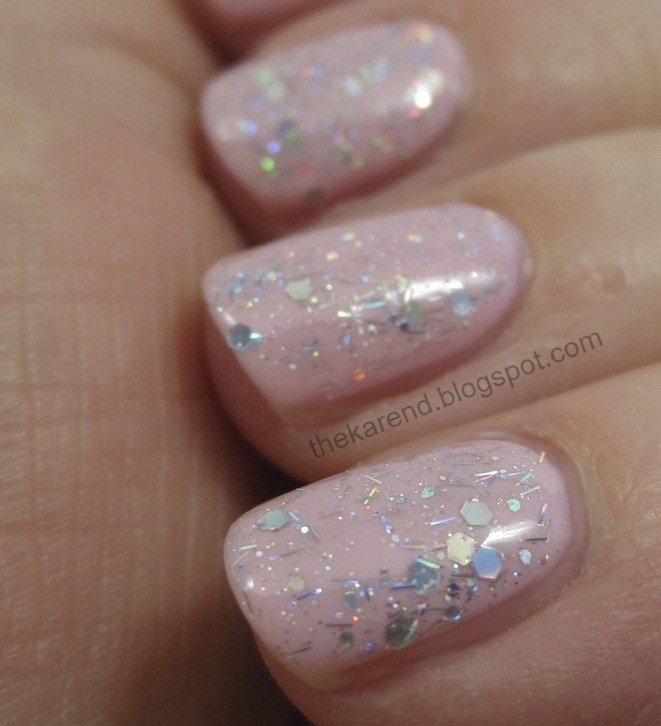 Let's start with Don't Burst My Bubble, which is a very pale pink. 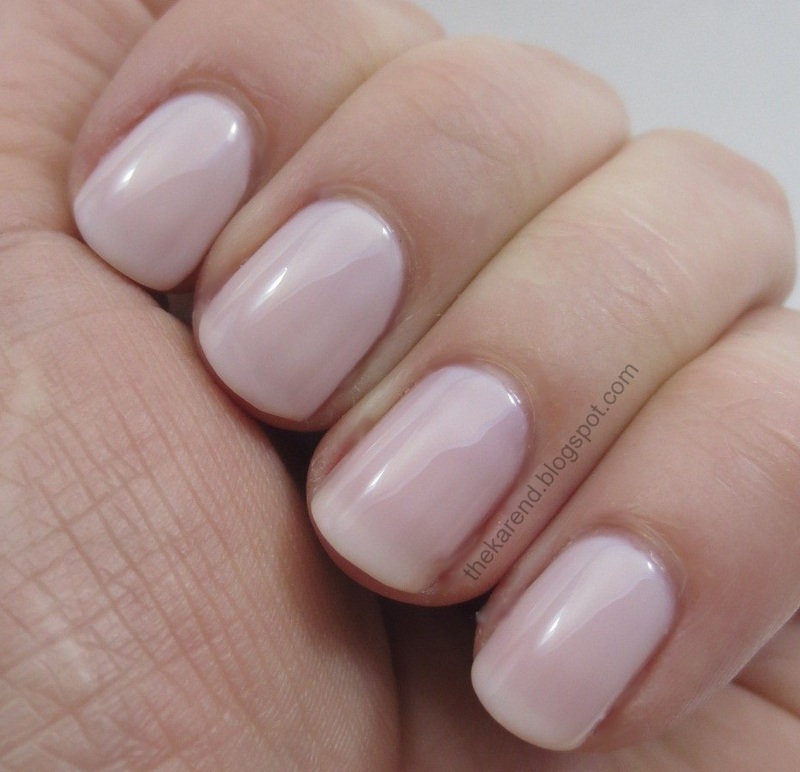 My swatch is three coats; that still leaves a hint of visible nail line, and that doesn't bother me one bit with a color like this, especially since this is well behaved and not streaky like some sheer cremes can be. On my rosy skintone, Don't Burst My Bubble looked more pink on than it did in the bottle. The next pale creme, I Theodora You, is definitely pink in and out of the bottle; my rosy tones didn't affect it. 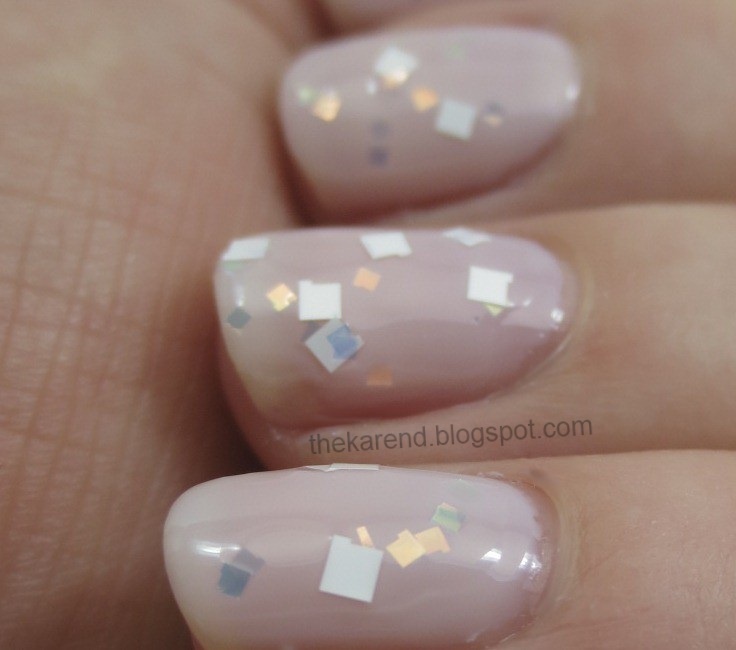 I Theodora You is a touch more opaque than Don't Burst My Bubble; swatch is once again three coats, no base or top coat. Glints of Glinda is the third pale creme. 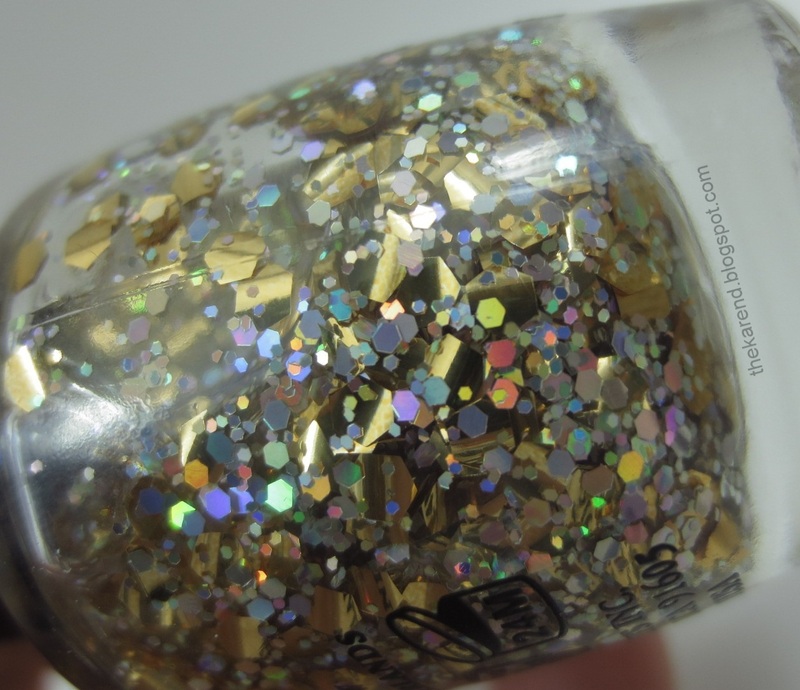 (I think anything with "glints" in the name needs to have shimmer or glitter, but for some reason no one asks me before they name their polishes.) It's a warm beige, similar in opacity to Don't Burst My Bubble. 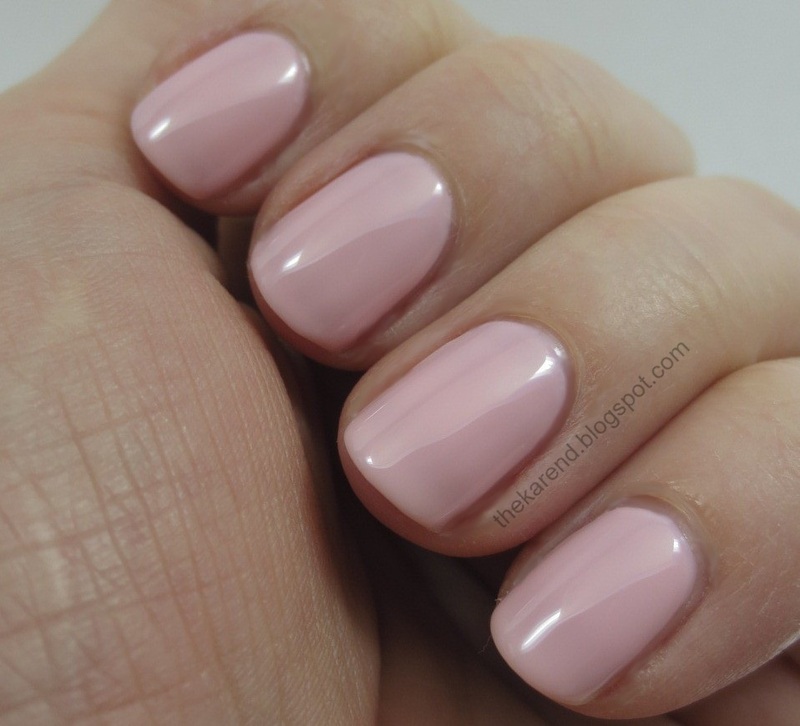 Of the three pales shades, this was the one I was least attracted to, as I'm much more a pink person than a peach person. Once I had it on, I was very surprised at how much I liked it. Three coats gave me a sort of "juicy mannequin hands" look (I don't know if there is such a thing, but if there is, this was it). 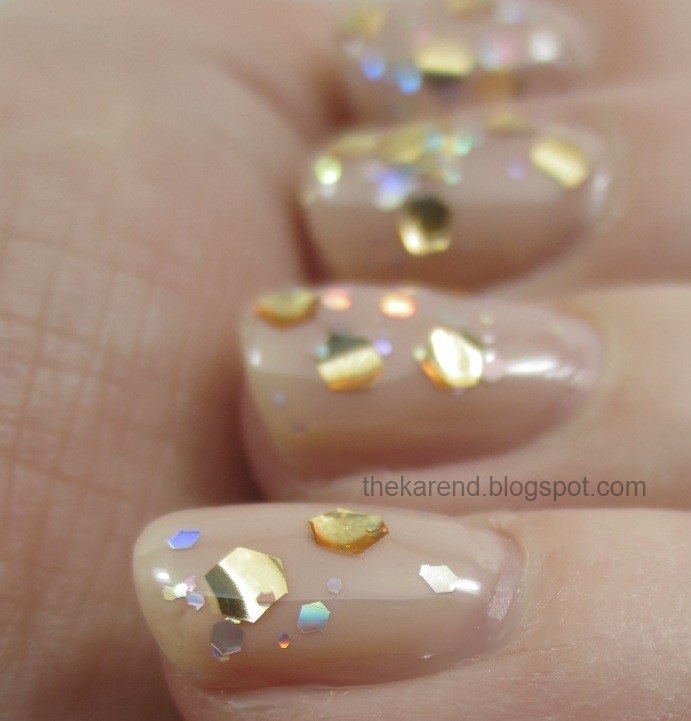 I'd wear this if I wanted some shine (no topcoat needed) but didn't want to attract too much attention. I think the key to Glints of Glinda looking better on me than other similar shades is the sheerness of it that lets my natural rosiness come through just enough to blend the polish color with my skintone. 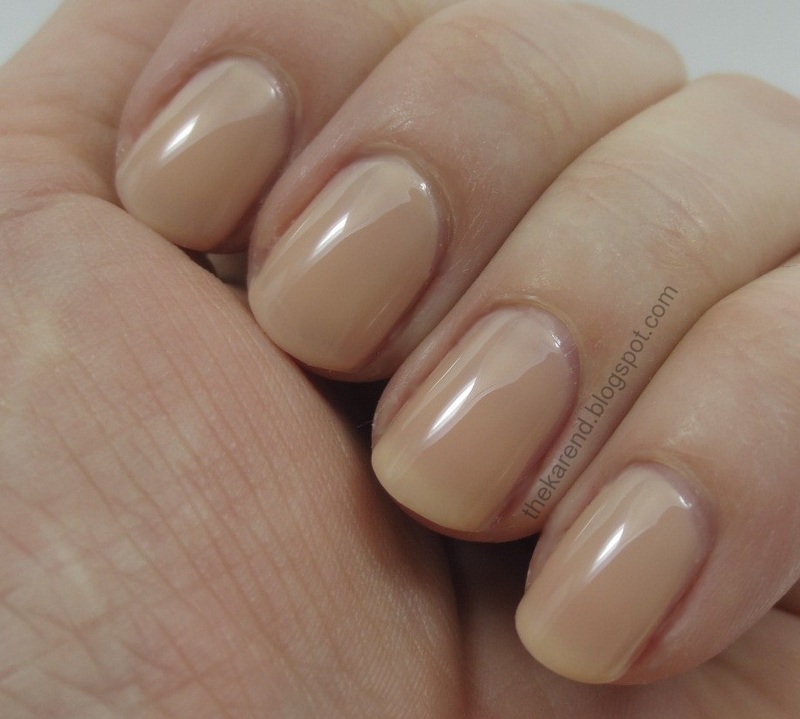 As with last year's Soft Shades collection, New York City Ballet, OPI did a great job with these sheer cremes. They apply nicely; it doesn't take crazy close attention to get them on without streaking. These don't seem as sheer as the Ballet sheers and the colors don't seem at all dupey of those, so I went ahead and bought Don't Burst My Bubble and Glints of Glinda for my personal collection after I sent these samples on to Lucy. 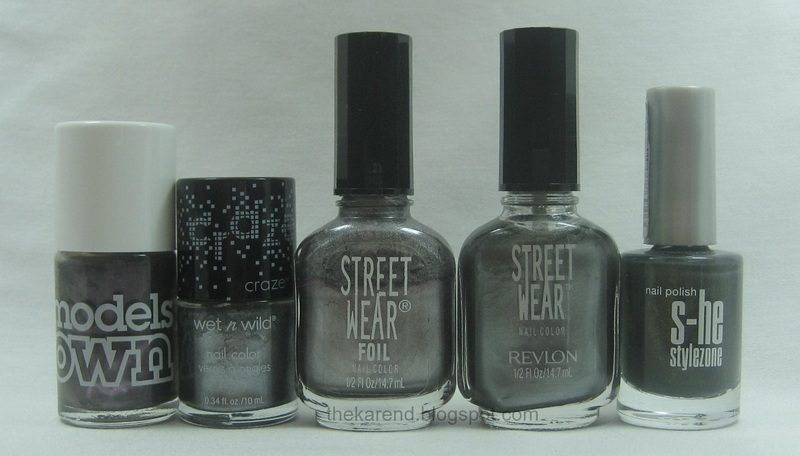 If I were seriously destashing, I think these could go for sure: 4 Chinoiserie Baroque, 10 Color Club Ms. Hautie, 11 & 12 the two Streetwears. Getting rid of four out of twenty—that's not very serious is it? No wonder I have such a big collection. I recently completed another swap with the lovely Lucy from Brazil. She sent so many pretty things that I couldn't fit them into one picture. 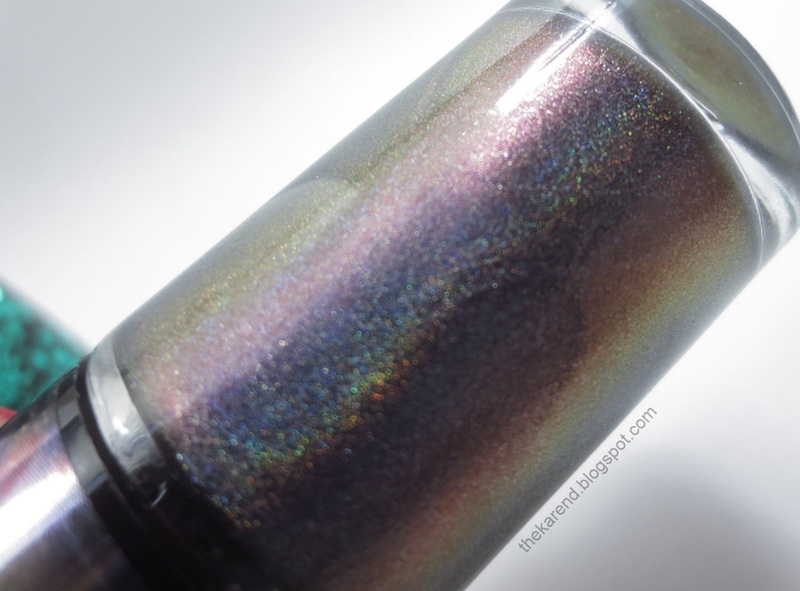 There were holos and glitters from Impala and Ludurana as well as a magnetic duochrome from Ludurana—I thought I'd seen every kind of magnetic there is but hadn't seen one like that. There were some other treats, but those were not available for photos because they were edible and I started nibbling on them almost immediately. Unlike last time, I didn't wait months to use the polishes, either. I seized the moment and tried two of them within a couple weeks of unpacking. It was difficult to decide which to try first since they were all so enticing. 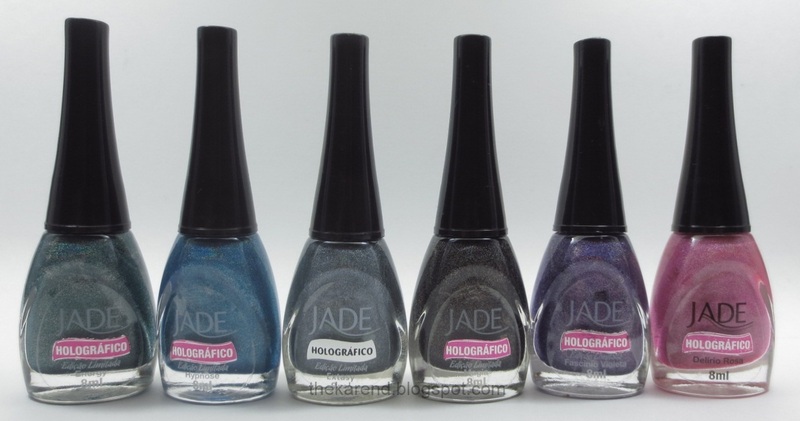 In the end, my love of purple won out and I reached for Jade Holográfico Fascínio Violeta. 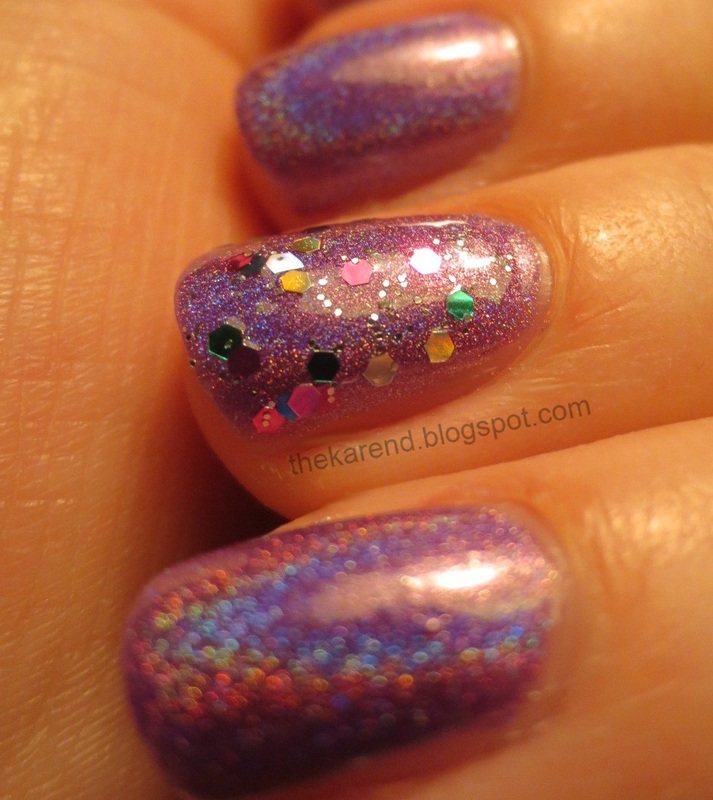 This is not a high maintenance holo; I applied two coats of it over my usual base (Instant Artificials) and had no problems. For my accent nails, I added one coat of Hits Speciallita Glitter's World Sydney, then topped all my nails with Diamond Dry. A few rainbows showed up in my lightbox as seen above. I wanted to get some sunlight shots, but we were having second winter all the days I wore this combination so there was not much bright sun to be had. Fortunately, the Jade shows rainbows in a variety of normal room lighting conditions, so I strolled around my house snapping shots in my kitchen and dining room. I did capture a photo near a window in weak sunlight coming through the glass; before I could go put on shoes and get outside, the sun was behind the clouds again, so I'm glad I got the shot I did. I am so happy that Lucy got in touch again and was so kind to shop for all these lovely polishes from Brazil for me. Thanks, Lucy! 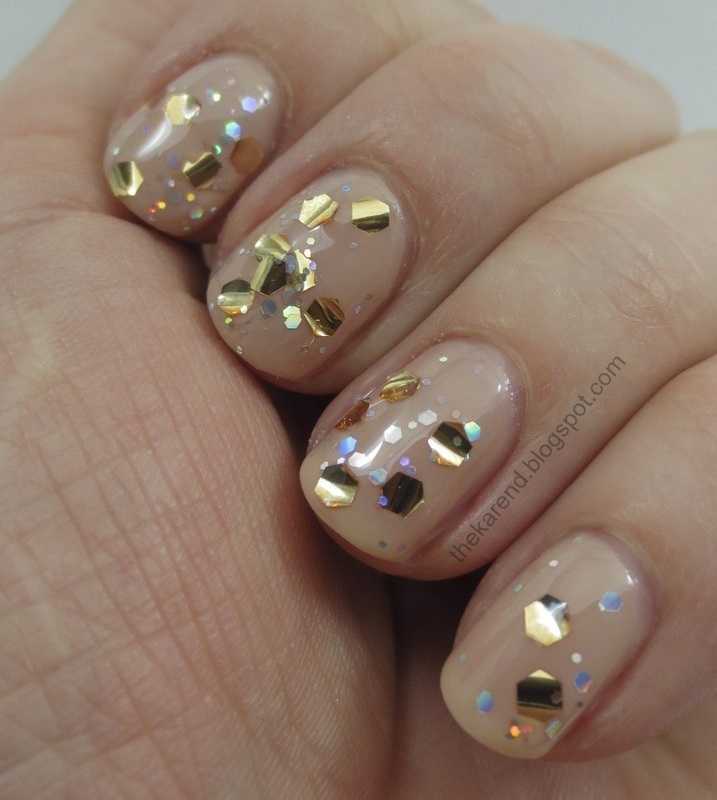 Texture appears to be the trend that's taking over the nail world right now, and unlike magnetics and crackle, Zoya has gotten in on this one. 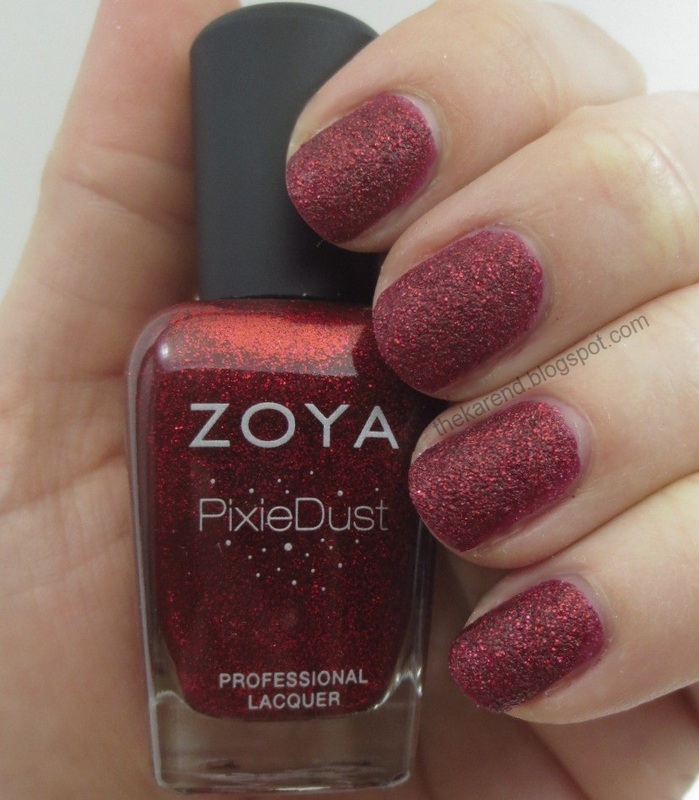 The PixieDust collection from Zoya contains six matte glitters meant to be worn without topcoat. 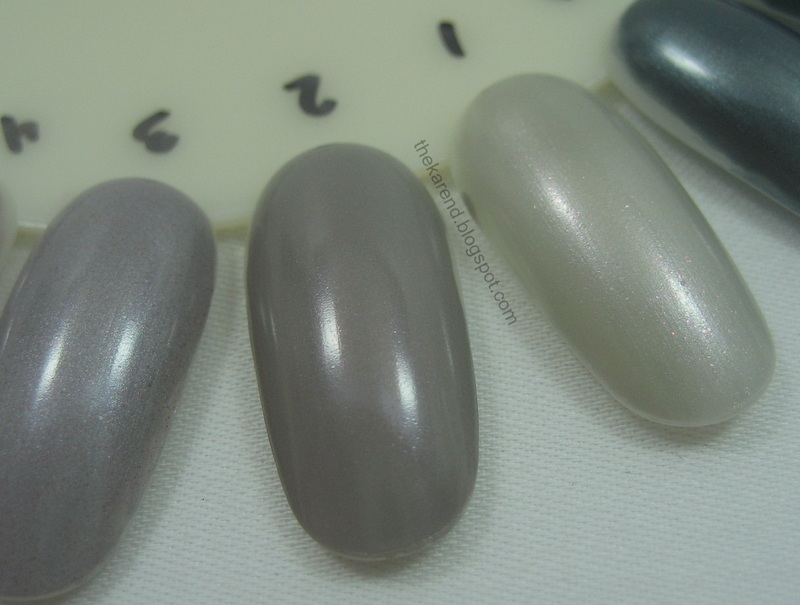 I was lucky to be able to get a full set from Zoya for review purposes. Colors left to right: Vespa, Godiva, Nyx, London, Chyna, and Dahlia. 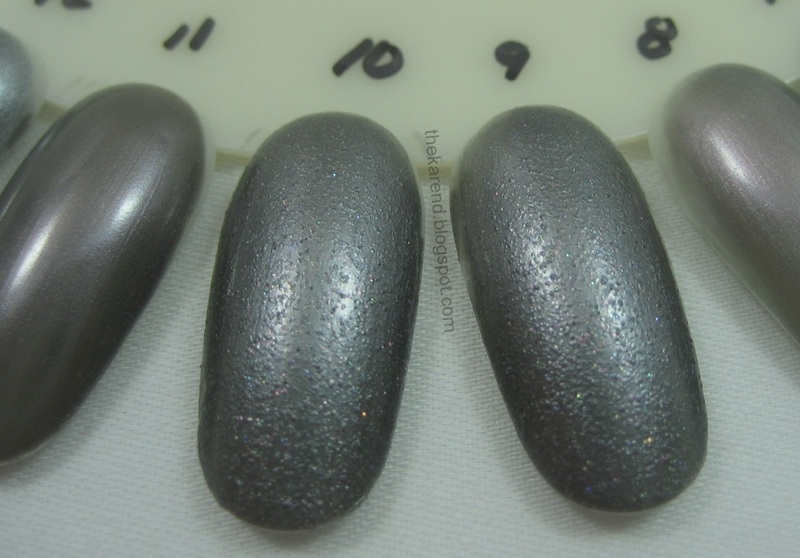 The caps on these bottles aren't the shiny black typical of Zoya; these have a matte rubber look and feel to them. 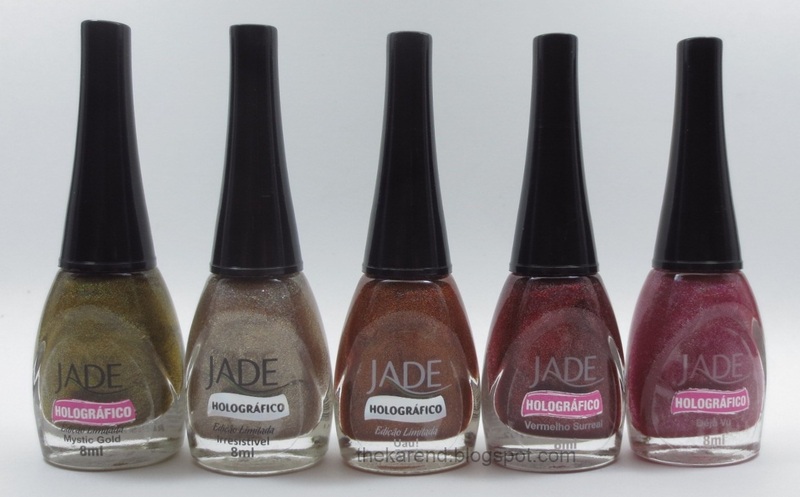 The PixieDust page on the Zoya website (which is what I looked at to see if it was Pixie Dust with a space or PixieDust without) says not to use base coat OR top coat with these. Top coat I can understand, because top coat works against the whole texture idea. 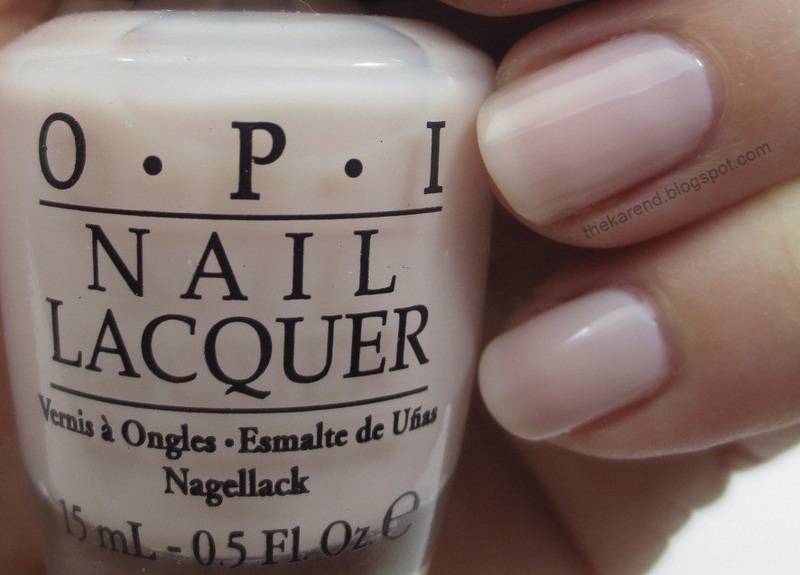 I really hate to skip base coat, though; at the very least I want a treatment on there every time I do a manicure, so I tried the first color, Vespa, with my usual treatment plus Instant Artificials routine. I used two coats; three might have been better, but I was not willing to wait for three coats to dry. 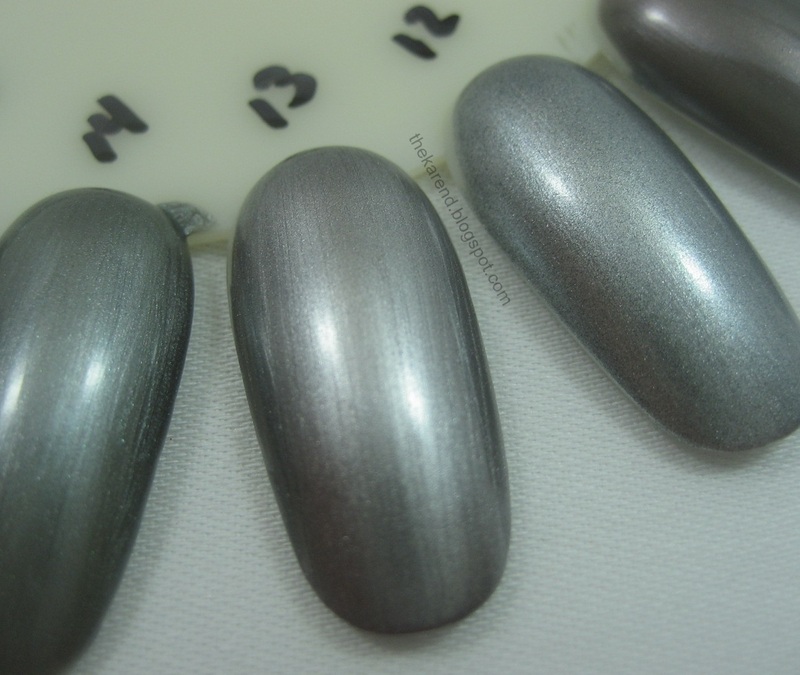 The Zoya site recommends letting eat coat dry matte before putting on the next. I was not patient enough to do that. I did wait after the last coat so it wouldn't be wet for photos, but adding 10 minutes between coats was just not gonna happen. As an experiment, I took a break after putting on Vespa to see just how long it would be for it to be completely dry, and it was a quite a while for someone like me who's used to quick dry topcoats. About 45 minutes later, it was dry enough that I'd feel comfortable going about my normal business and not paying special attention to it (it was dry to the touch much sooner, about 10 minutes after the last coat went on, but we all know dry to the touch doesn't mean impervious to dents). I stopped using basecoat under my swatches after Vespa, and didn't notice any difference in the drying time or level of matteness achieved. 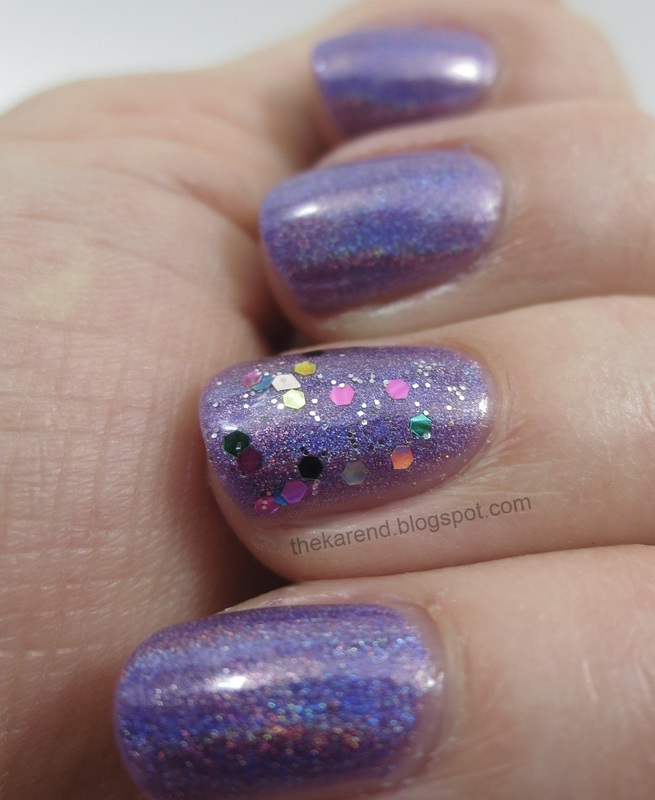 I kept using two coats of the PixieDust for the aforementioned impatience reasons. Godiva is a warm light tan. Swatch is two coats. 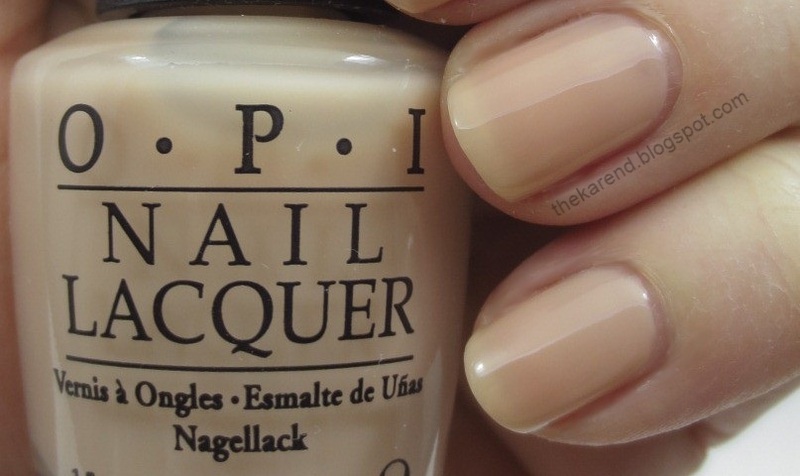 This seemed a bit too yellow-toned to be flattering on me, though I can see it being quite nice on other skin tones. Nyx is a dusty blue. This one really would have benefitted if I'd added a third coat to the two I did put on. London is a medium grey. Two coats of this one seemed quite enough. 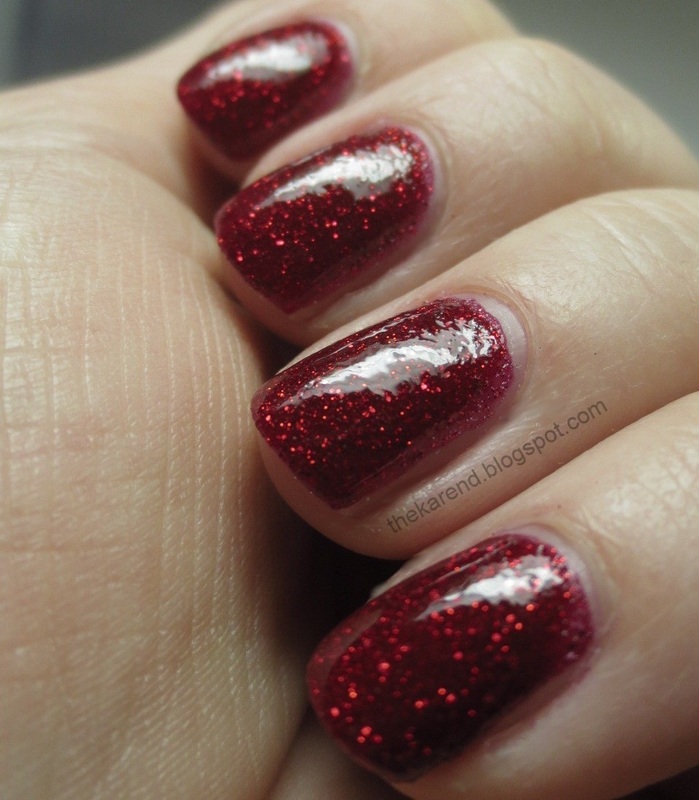 Chyna is a rich red; two coats gave great coverage.. Two coats of this gave great coverage. This has bright red glitter accents unlike the silver accents in all the PixieDusts we've seen so far; that's probably why this bottle shot was the only one where the dusting of dots around the PixieDust wording actually showed up decently for my camera. Dahlia is black with silver glitter and another legitimate two-coater. 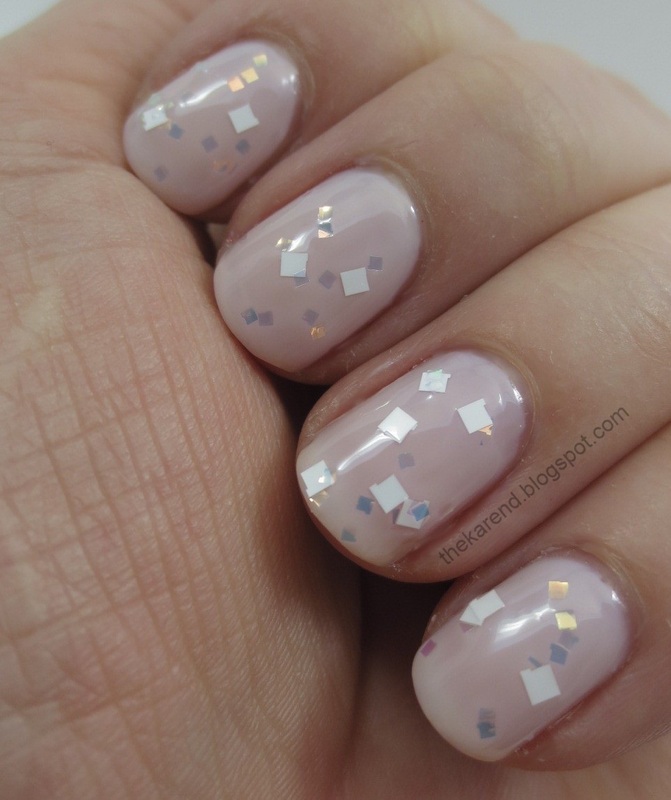 Compared to the OPI Liquid Sand polishes, the only other textured ones I've tried so far, I liked PixieDust better. 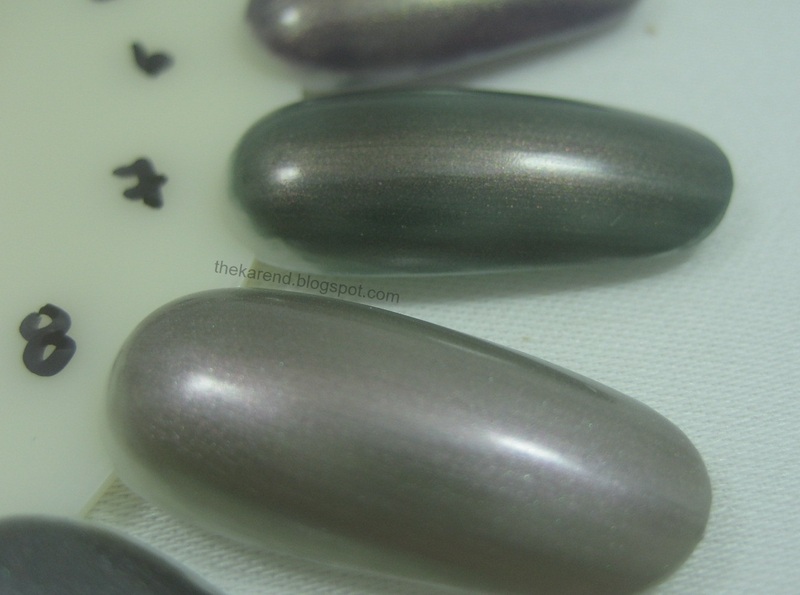 The particles in the Zoyas seem finer, so the texture is not as rough, and the glitter is more sparkly. 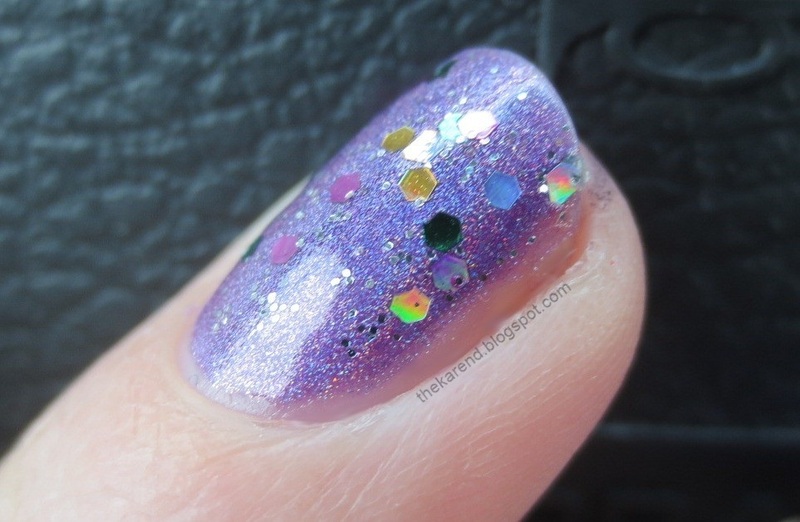 There are six more colors of PixieDust coming for summer; I believe those are going to be available April 1st, and one of them is purple, so I'll be keeping an eye out.